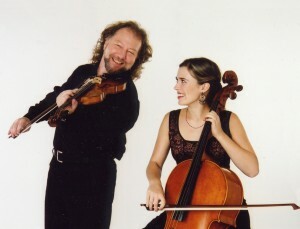 One of the finest duos in Celtic music today, Alasdair is from Scotland and one of the world's finest performers of Scottish fiddle, and Scottish fiddle instructors with schools in California and Scotland. His interaction with Natalie Haas on cello is superb. An evening with the two of them will not disappoint, especially in the fine acoustics of the Berger Center. Reserved seating on sale this fall. They come to Tucson at a very appropriate time, Saturday March 14, just before Saint Patrick’s Day, and will be one of the first Irish traditional bands to perform at the wonderful 1,000 seat Fox Tucson Theatre. Yes, there is one Irish band that is mostly traditional that has performed there-- that band was the Chieftains. Reserved seating tickets will go on sale on May 29th. If you happen to be a member of the Fox, you can purchase tickets after May 15th. Reserved seating will be from $25 up to $40 right in front. Daimh, pronounced (dive), first visited Tucson 2 years ago at St. Francis Church . They are back with new CD and to the Berger Center. One of the finest bands out of Scotland today. Fine vocals in Scottish Gaelic by lead singer Ellen MacDonald plus full band instrumentals. Other members on pipes and stings are Angus MacKenzie, Gabe McVarish, Mood Cameron, and Ross Martin. They put on a double standing ovation show when here before. Old Blind Dogs return from Scotland with a new show! original fiddler Jonny Hardie included!! Reserved tickets on sale by NOW. All new show, and will include original fiddler Jonny Hardie and singer Aaron Jones..
2 local bands play on St.. Patrick's Day--evening. 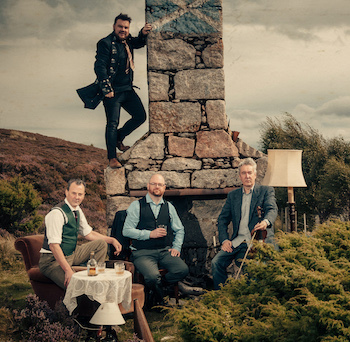 Hawthorne Hedge combines members formerly with Round the House and the Celtic Minstrels. Set by H. Hedge from 7:15 pm to 8:00 pm is all instrumental, followed by the Out of Kilters from 8:15 pm to 9:30pm. TO BUY TICKETS CLICK THE BUY TICKETS BAR ON HOME PAGE. CLICK Green $ ABOVE AND THAT WILL TAKE YOU THERE. Laurie Lewis, with Tom Rozum on mandolin and vocals will perform Saturday, April 13th 7:30pm at the Berger Center at 1200 West Speedway. Laurie writes songs, and sings, plus plays guitar and fiddle has won many awards including being named twice as vocalist of the year by IBMA. She has been nominated for a Grammy many times, including just 2 years ago. And she won a Grammy for her contributions to "True Blue" a compilation of songs by Bill Monroe. The photo is of Laurie and Tom. An accomplished fidder named Brandon Godman will fill out the trio. Brandon has played for Doyle Lawson and Quicksilver and has won many fiddle championships. Some of the Row Ftickets shown online as sold are actually on sale at The Folk Shop, with no fee as well as tickets in J center, Tues-Friday 11-6, Saturday 11-5. Cash or check only accepted at Folk Shop-no cards. For disability seating please call 981-1475. North of Grant on Craycroft, just South of Rillito River. Plenty of Parking. 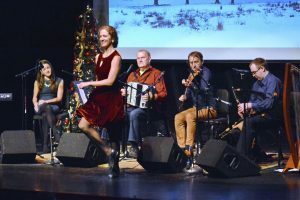 Celebrating its 14th year, the hugely popular holiday show “Irish Christmas in America” brings a fascinating performance of music, song, dance and stories of seasonal Irish traditions. Produced by Sligo fiddler Oisín Mac Diarmada, the long running show features top Irish music, song and dance in an engaging performance rich in humour and boundless energy. The 2018 tour features special guest singer Niamh Farrell, a Sligo vocalist who has toured with UK singer/songwriting star David Gray. Niamh teams up with legendary West Kerry singer Séamus Begley, famous for his charming wit and stunning voice. And it will also feature someone new! Sea-nos dancer and bodhran player Brian Cunningham. Brain is pictured above and the other photo includes dancing by Samantha Harvey. The family-friendly performance features lively instrumental tunes on fiddle, flute, uilleann pipes and harp, along with thrilling Irish old-style dancing from Samantha Harvey. In addition, evocative photographic images provide a backdrop to some of the rich historical traditions of Ireland. Take a memorable glimpse into the enchanting spirit of Christmas, as the finest traditional artists from Ireland, bring you on a fun-filled start to the holiday season of 2018. Niamh Farrell– vocals Niamh Farrell, a talented young singer from Sligo, came to attention in 2014 during a 10-month world tour with English singer-songwriting star David Gray. The tour highlight for Niamh was performing at the Ryman Auditorium, the home of the Grand Ole Opry in Nashville. Niamh brings to Irish Christmas in America a magical voice and stage presence, invoking the warmth and charm of an Irish Christmas evening. Séamus Begley– vocals / accordion Séamus Begley comes from the Irish-speaking region of West Kerry and is a member of one of Ireland’s most musically-acclaimed families. Famous for his heartfelt singing, Séamus is equally brilliant on the accordion, which he plays with astonishing energy and spontaneity. belting out jigs, slides and polkas with rapid sprays of ornamentation. 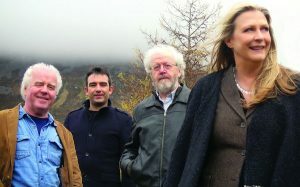 Séamus was awarded the prestigious TG4 Traditional Singer of the Year award in 2013. Oisín Mac Diarmada– producer / fiddle A graduate in Music Education from Trinity College Dublin/RIAM, Oisín has been described by The Irish Echo's Earle Hitchner as "one of the most gifted and creative traditional fiddlers playing today." 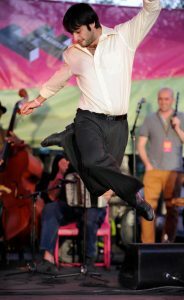 Founder of noted group Téada, Oisín is also a regular solo performer, having appeared as guest soloist with the Southern Georgia Symphony Orchestra (USA) and Würtembergische Philharmonie Orchestra (Germany) along with an extensive recording history. Gráinne Hambly– Irish harp /concertina Gráinne Hambly from County Mayo in the West of Ireland is an internationally recognised exponent of the Irish harp. In 1998 she completed a Masters Degree in Musicology at Queen's University Belfast, for which her main research topic was music collections and the harp in 18th-century Ireland. Since then, Gráinne has toured extensively throughout Europe and the United States, giving concerts, workshops and masterclasses. Samantha Harvey- dance / piano Samantha Harvey is an award-winning step dancer, pianist and accordionist. She has performed throughout the world. Most recently Samantha performed in RTÉ's Centenary 2016, broadcast live from the Bord Gáis Energy Theatre in Dublin and with the Omaha Symphony in A Celtic Journey. Sean Gavin- flute/uilleann pipes. Sean Gavin’s ornate and driving style on the flute and uilleann pipes reflects his lifelong immersion in traditional Irish music. Despite his young age, he is already an accomplished performer having toured extensively on three continents. Currently residing in Chicago, he remains firmly dedicated to playing and teaching traditional Irish music. 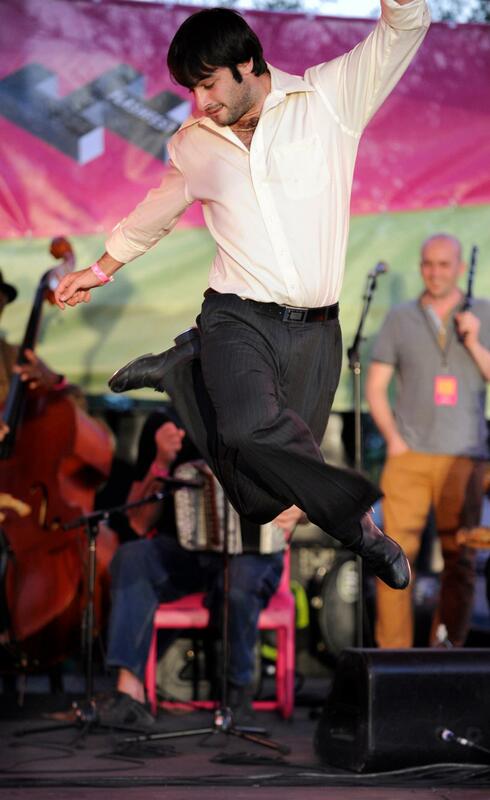 AND Brian Cunningham: Irish dance and Irish drum (bodhran). The Gregory School hall has reserved seating!! and plenty of parking too!! Reserved seats available NOW online, with center, select seats at Antigone Books and the Folk Shop. All tickets $25, $23 to TFTM members and seniors. Tickets bought at door: $28; $26 seniors. 5-piece band from Quebec playing traditional Quebecois music and originals. On fiddle, mandolin, tenor banjo, guitars, keyboards and bass, Les Poules a Colin (Colin's Chickens) play a fine combination of slow and fast fiddle tunes and songs, mainly sung in French. Instrumentals are driven by by sound of foot percussion, danced by Colin Savoie-Levac while he plays either mandolin or tenor banjo.. The other 4 are all women, including Colin's sister Marie, on bass, hence the name of the band. Beatrix Methe is on vocals and fiddle, Sarah Marchand is on keyboards and vocals and Elenore Pitre is on guitar and vocals. Some the music they play originates in the French part of Louisiana. A unique band, and we have lowered the price to make this music rarely heard in Tucson more accessible. Check out the videos, and we'll see you at the show! On sale NOW on line and by September 17th at outlets. Advance tickets, general admission, are $17; with senior and student discounts at$15 advance. Door tickets will be $20. Leo will return, and to the Temple, where he hasn't been for quite a few years. All seats reserved. Tickets on sale now on line here, and select center seats are available with no fee at both The Folk Shop and Antigone Books. As of February 1, about 400 tickets have sold; the hall holds 600. Two videos are here--the most recent, from October, 2018 is him live, with his recent beard, which shows three fun minutes of his rambling talking stage persona, followed by a new song, with great guitar work of course. The older cut "Eggtooth" shows him about 10 years ago, playing a fine solo piece.